Corcovado National Park is located on the magnificent Osa Peninsula and is the largest single area tropical lowland rainforest in Central America. This area is truly the last frontier in Costa Rica as it has few villages and few tourists find their way to the Osa Peninsula each year. The lowlands have numerous rivers and meandering creeks running throughout it with 13 known distinctive habitats. The upland has steep terrain caused by aged tectonic plate movement, daily tremors and an abundance of annual rainfall. The northern and southern rims are joined on the west by 12 miles of unspoiled beaches, coves and caves. The Sirena River pours out to the ocean midway between and has a history of torrid currents, bull sharks, and crocodiles, so swimming in this area is not advised. The ellaborate system of trails offer hikers the opportunity to see 115 amphibian and reptile species, 400 species of birds, 140 different mammals, 40 species of fish and over 400 trees species. the government realized that these national treasures must be protected so they stopped all logging in Corcovado in 1975. 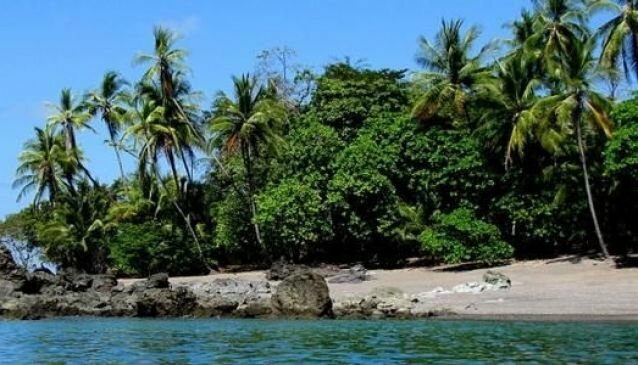 You may want to use the opportunity to visit Cano Island, located just off the coast of Corcovado National Park while you are in the area. Tours to Cano Island Biological Reserve are offered from Sierpe River all the way down to Golfo Dulce. You can find Corcovado National Park by traveling south on the Interamerican Highway to Chacarita. You must make a reservation for Corcavado and enter through one of four ranger stations, La Leona, San Pedrillo, Los Patos or Sirena. Sirena is the busiest ranger station and there are limits on how many people can be in the park so we recommend booking your space well in advance. It may be a challenge finding it but certainly worth it for the true nature lovers of the world. Some camping is allowed inside the park in designated areas, which are well marked. For additional accommodations, you must travel back to La Palma or Puerto Jimenez although there are a few scattered eco-lodges and cabins along the way.